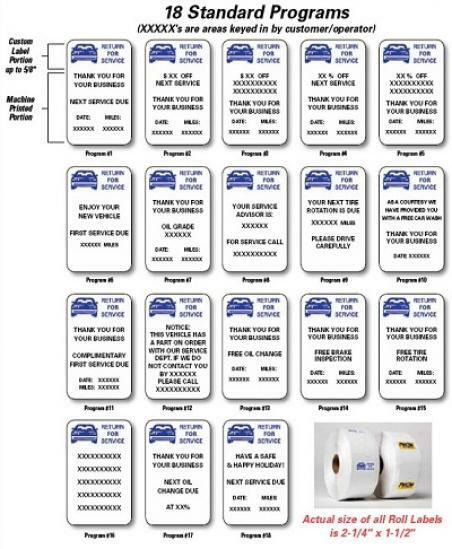 Produce your own static clings on thermal printed, computerized, static cling system that neatly prints fade & smear resistant data in bold black letters and numbers. Use 1 label for: Oil Change Reminder, Parts on Order Reminder, Tire Rotation Reminder, First Service Due Reminder, Discount Coupons. 5 in 1 system includes: Printer, Keyboard, 1 Ribbon, 18 Standard Programs, & easy to follow instructions.